Considering we have had a good few weeks now of ‘summer’ that could easily be mistaken for a colder month, I still seem to feel a bit odd talking candles in what is technically the middle of summer. BUT this is A) more than just a candle and B) It’s a very summery smell so I think it’s totally fine to talk about My Jolie Candle now! So what makes My Jolie Candle a little more special than the average burn and you’re done candle? Well, the most obvious thing is that it’s a scented candle – but hidden within the wax is an added surprise. When you burn the candle down you reveal a little bling treat. Potentially not just any bling treat… one that could potentially be worth as much as £1-5k with real diamonds. With every item being worth at least £20 commercially. So whatever you find is a sparkly little treat that could be something very special indeed. Scent wise this candle is just lovely – this is the summery perfect Monoi Scent. It smells like a tropical holiday. It’s one that even when nor burning I could still smell it softly in the room. It’s impressive when you burn it how it spreads. I’m about 1/3 of the way into burning this and not quite get to the point where I’ve revealed the treat hidden in the wax. 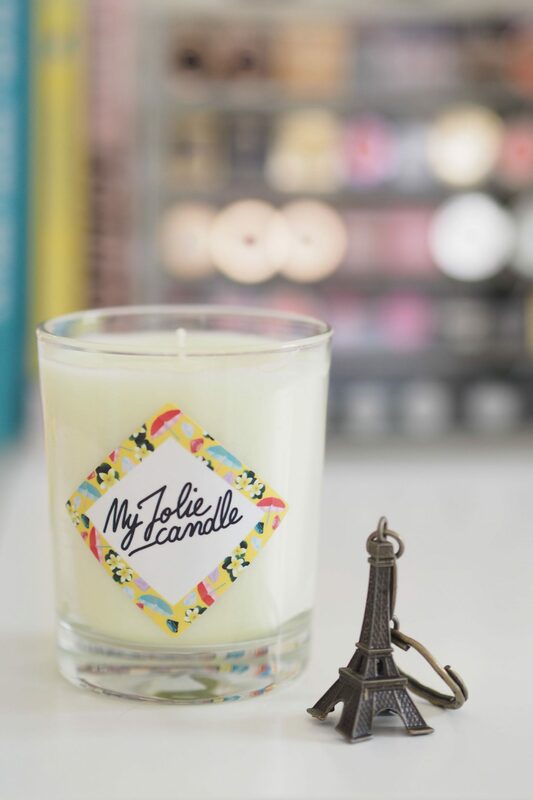 But what I’m going to do is share a snap of it when I do over on my instagram with the hashtag #MyJolieSurprise – where you can take a look and see some of the various jewels people are finding in each of their own candles. It’s a fun idea for a candle with a twist and would make a lovely present too. Now fingers crossed that as I burn I reveal a real diamond sparkler within My Jolie Candle!